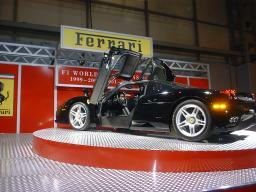 24 October 2002 - Preview Day at the International Motor Show 2002, at Birmingham NEC. 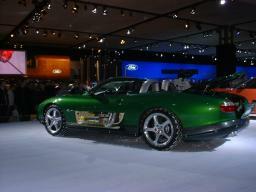 I didn't take too many photos, especially not of road cars, but here are a few things that caught my eye. 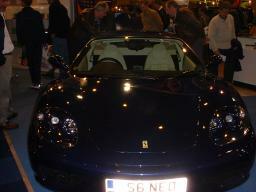 Note that although Ferrari exhibited only one car (the Enzo) I managed to find any Ferraris anywhere in the show and hunt them down. I seem to be good at that. The full set are unindexed here. 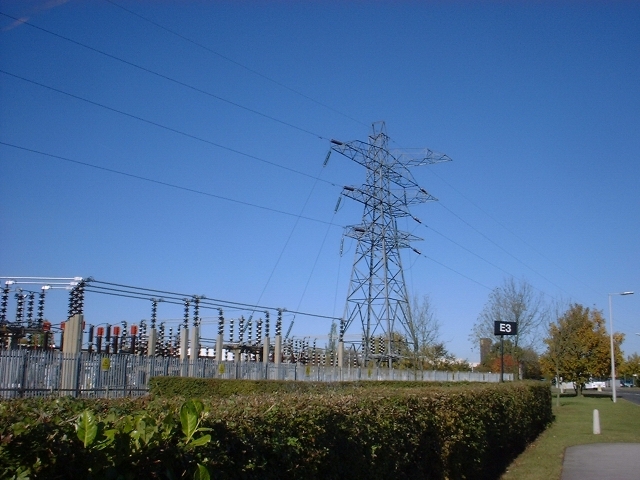 The first thing that caught my eye - the baby pylon in the NEC substation. Well, you know I love pylons, right? 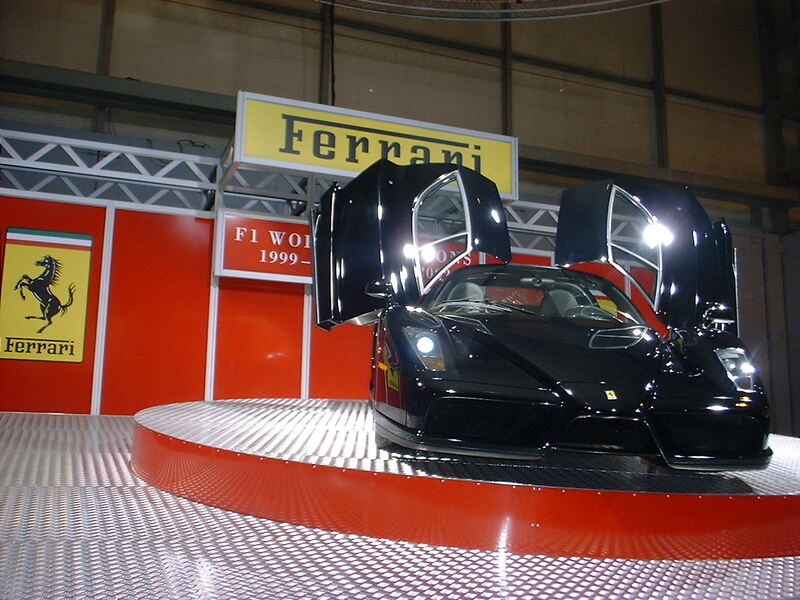 The gorgeous Ferrari Enzo, from the front. 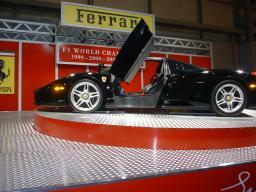 Side view of the Enzo. 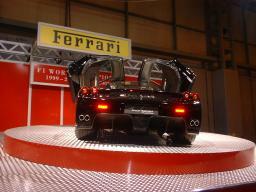 Rear of the Enzo - stunning. 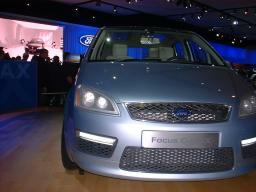 No, I don't like the Ford Focus! This reminded me of my friend, Cmaxx (it's a Focus C-Max). 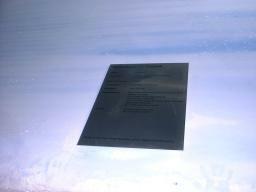 Look at this in full size... it states the spec of the Bond car, beginning "Pair of 9mm Browning automatic machine guns (bonnet mounted)" and ending "Linn 1200 watt stereo system". 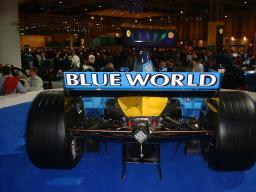 The most exciting thing on the Renault stand was their F1 car. Nice view that it has over the show. Oh look. I've found a Ferrari, tucked on a stand somewhere. I seem to have a Ferrari homing ability. You just can't miss them, or mistake other cars for them. 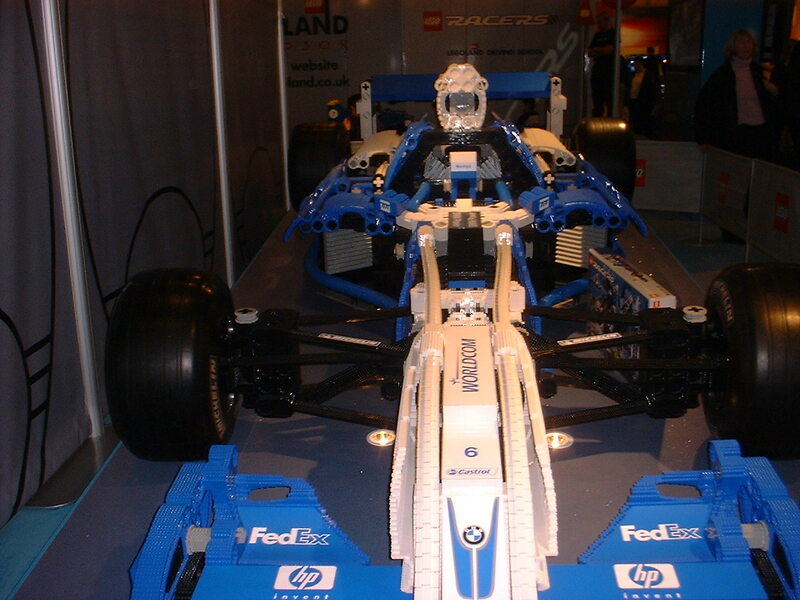 The Lego Racer stand was disappointing, just a few pull-back-n-go cars, but this full-scale Lego Williams F1 car was good. 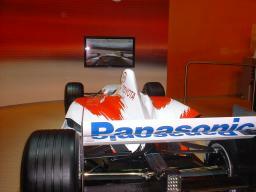 Toyota went one better than most stands and had their F1 car hooked up to a simulator. Cutely, the brake light came on when the driver did so. You could queue up for a go, but it looked difficult! 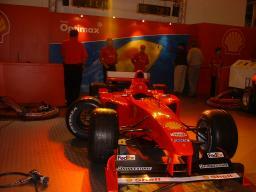 Shell were demonstrating tyre changes on Ferrari F1 cars. The tyres looked heavy. 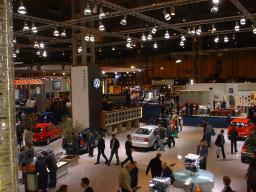 View of the VW stand, from the hospitality area above. Well, we were nice about their cars to a salesman. Nice coffee, too. 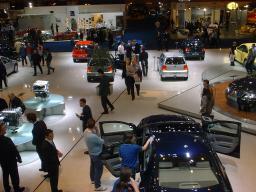 More of the show in Hall 5. 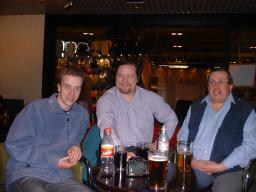 My brother, my bloke and my father having drinks before we went our separate ways home.